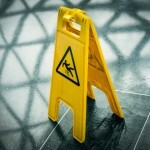 Had a slipping accident at work? You can look to claim compensation for your injuries and losses resulting from the incident. We can help you claim the compensation that you deserve. Your employer is required to provide you with a safe working environment and this includes ensuring that you can move around your place of work without slipping or falling due to spilled liquids or other hazards. 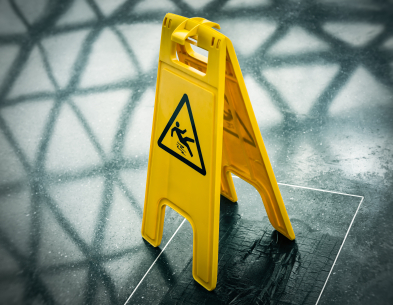 It doesn’t matter if no-one knows who made the hazard or failed to mop up or spilled the liquid, your employer is liable for the actions of their staff. So if you have an accident due to the negligence of a colleague you can bring your claim against your employer. This is known as vicarious liability and means that there will always be someone (usually your employer’s insurers) to pay any claim made against them. This is why they have compulsory insurance, so don’t feel bad about bringing your claim; you have sustained a loss and injury and it is your right to seek compensation. If you have an accident you can look to claim for your injuries and financial losses. Claim compensation for your injuries – this is known as General Damages and covers your pain and suffering as well as your loss of amenity; your loss of enjoyment of life resulting from your injuries. We can deal with your claim on a No Win-No Fee basis so that if your claim fails you won’t be charged a penny for the work we have done on your behalf.